Clutching my overnight bag, I reached the Northern Line platform at Kings Cross to find a crowd of passengers milling around a man in uniform. Despite the crush, everyone was strangely calm, staring in the same direction down the platform. The man was shouting commands to a tube train that was nosing its way into the station. Instead of racing in and screeching to a halt at the last moment, forcing passengers to cling to the handrails for support, this train was inching forward, the driver with his head out of the window so he could hear instructions. I didn’t know tube trains could do that. Oh no, I thought, there’s a body on the line. I couldn’t bear to look. 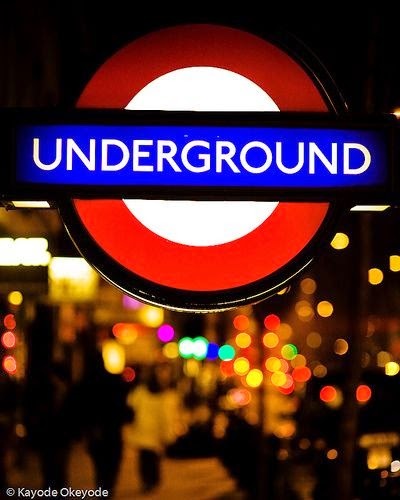 In London scarcely a week goes by without a suicide on the Underground - "person under a train" they call it. It would take ages for the police and ambulances and the fuss. I selfishly wondered how I would get home. It was after 10pm, and I didn’t have enough cash for a taxi. Surely they hadn’t stopped the train for a rat? There must be millions down there. I thought of what would happen if a rat got into a carriage. That would wake them up, the normally oblivious, unconcerned London commuters. I pictured chaos and screaming. They’d be jumping on the seats in panic. I smiled at the image, then shuddered in case it was my carriage the rat visited. Yes, best stop the train and catch it. The shout from the driver broke the moment. They’d switched off the power. The entire Northern Line had been shut down for a rat. The official bent down and jumped onto the track. There was a murmur from the crowd and a ripple of applause. The rumour quickly spread down the platform. It was a pair of earphones. To stop a tube train in the middle of the evening for a pair of earphones, that was so… British. Sure, we were going to be a few minutes late, but someone would save £65 at the Apple store. I smiled as the official handed them to a little boy with a tearstained face. She came up to me for support. Something in the woman's manner really irritated me. They were doing something nice here, helping someone out. For this city, it was a tiny act of corporate human kindness. I thought of the number of times I’d been held up by herds of sheep in Northumberland. A journey delayed for a pair of earphones? This was nothing. And maybe it shows there’s humanity in London after all. Black Friday? Cyber Monday? Count me out!